Jason is officially a Butte County Law Enforcement Agent!! Today he was sworn in by the Sheriff. It turned out to be a pretty big production, he didn't know it would be. He has his badge now and is waiting to get his uniforms. He's working on adjusting his body to staying up all night, and he starts his first shift at 7 p.m. this Friday! We're so excited & I'm so proud of him! This whole process has not been easy, but so worth it! It's official, Jason's an employee of Butte County Sheriff's Department! Jason FINALLY got the call today- Tuesday, he'll go sign papers, then Friday he'll start his new job as a Correctional Officer for the Butte County Sheriff's Department!!! We're so excited! a ner chapter in our lives! With all the snow, Jason's lasik surgery and all of us having the flu recently, we decided before Jason starts his new job, we'd better get out of a ground-floor room with a town for a little bit while we still could. I had a 4-day weekend due to President's Day and the weather was forecast to be awesome, so we decided to hit the beach for a few days! Since we got there early to check in, we got a ground-floor room that opened directly to the ocean. It was sunny, clear and around 65 wiht no wind, perfect! After settling into our room, we headed to the beach for a few hours of fun. Owen loved running wild in the and after all those hours in the car. James got knocked over by the surf right away and was scared to death that he & Owen was going to be "taken out to the sea." For the rest of the trip he stayed way up on the beach, far from the waves. We bought tickets from our hotel that were 2-days-for-1 for the Aquarium, which was awesome! We got to the Aquarium as soon as it opened both days and left right when it started getting packed. No lines for us and we had the whole place to ourselves for a few hours both days. My favorite exhibit was the Jellies, James and Jason loved the big tank with the 400-lb. tuna, hammerheads, and dolphin fish. Owen liked the touch pools where he could get his hands on the starfish and splash around. After leaving the aquarium both days we took our bikes and bike trailer, which we'd packed for the trip, and had a wonderful ride along the coast up to Lover's Point. The weather was unbelieveable and we stopped several times along the bike path to watch the seals sunning on the beach and feed the geese on the sidewalks. At Lover's Point there is a great grassy picnic area where we bar-b-qued hot dogs and James and I sat on the rocks and looked for whales. We didn't see any, but watching the brave surfers sure was fun! We did the 17 mile drive while the boys napped and spent a lot of time on the beach at our hotel. It was such a wonderful and much needed getaway for us! Monterey is a place we both love, it was a great place to take our kids, and I'm sure we'll go again. We love that place! Can't beat that view... Looking from Lover's Point toward Cannery Row. Here's where we ate breakfast- on a little patio right in front of our room. We had a mini-fridge, so we were able to bring simple breakfast & lunch stuff. Playing on the beach in front of our hotel was the best! So closer to our room, and prefect weather! On our bike ride, we ended up at Lover's point. Jellies, jellies, jellies! These displays were so awesome! What a day... This one's goin' in the record books! I've been sick with this awful flu for a week, yet dragged myself to school yesterday & today because I've been working for several weeks on arranging a ski trip for my school to Mt. Shasta Ski Park. 106 people drove from Paradise today, leaving their homes before 5:30 am to arrive at the ski park by 8:30. Coughing & stuffy, but excited to be on my first ski trip since before James was born, I was surviving. Just as I handed our the last ticket to the last parent and student, I heard the news- they were closing the park for the day due to a water main break! I could not believe it! So many disappointed kids and parents! Everyone was great, only two dads were mad because they wouldn't be able to take another day off of work, but everyone else was so understanding! By 10 a.m. everyone was on their way back to Paradise, so sad! A lot of families took their cars full of kids to play in the snow or ice skate in a nearby town, but most of the people just went home. I hadn't paid Mt. Shasta yet when they closed, so I have everyone's money- almost $4,000 worth of rentals, lessons, lift tickets... what a disaster! Oh well, tomorrowe can only be better! Once again, Owen has proven to be the most pesty little guy around! I had just started the shower when James called me to help him. I was gone only for a second, I swear! When I returned, I found Owen standing in the shower, shower curtain closed, fully clothed in footed p.j. 's and a diaper, and soaking wet! I tell you, this is one kid who needs to be watched every single second. It's a good thing he's so cute! 20/20 !!!! In both eyes!!!!! Without glasses!!!! It is so surreal, we're both shocked and so happy with the results. He says that compared to before, his vision is like wearing brand new glasses, all clear and crisp. At times it is a little foggy and fluctuates a little, but that's all normal for just one day after surgery. They faxed the confirmation to the Butte County Sheriff's Office this morning and they should be calling him any day!!! Yay! We're both flat on our backs with some awful flu. Fevers, sore throats, pounding headaches, the works. I've never had to take so many days off school, it's been rough! We'll be laying around like death-warmed-over all day, the kids are running free, and the house is a disaster... Oh well, that's how it goes when we're both sick like this. The boys are being so good, playing so well together and being very sweet. Thank goodness for that! Tomorrow is a very big day, Jason is going in for his lasik eye surgery! We're mostly excited- this will change his life forever in so many ways, but he's a little nervous. The whole "Fire in the Sky" thing has him a bit freaked out, but he'll make it. Right now his uncorrected vision is 20/400- legally blind. He does have 20/20 with glasses, so his doctors at Sontag-Reeve Eye center say they think they should be able to correct his vision to 20/20 with no problem. He'll go in on Thursday at 9:00 am for his post-op test and if his vision tests out uncorrected at 20/80 or better, he can start work at his new job with the Butte County Sheriff's Department! Wahoo! This has been a very long time coming. We have very high hopes for this... wish Jason luck tomorrow! 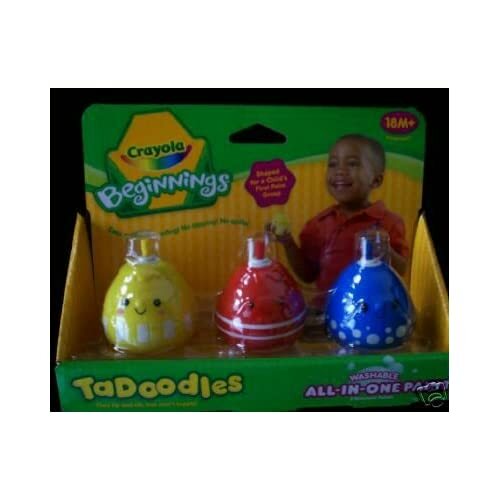 For Christmas, a relative sent Owen a set of toddler paints from Crayola. It says right on the box, appropriate for "ages 18 months and up"- Owen proved this not be be true today. Owen was so proud of himelf for his painting creation, he even showed me how he managed to paint his entire tounge! By the time I got him into the bath, he was as blue as a blueberry. Luckily this paint does come off super easily. Just dumping water on him washed it all off. Owen is not like his brother, James was never this pesty when he was little! One thing is for sure, he keeps us on our toes & laughing all the time! Pictures of our impressive snow and the kids with their friends. Here's the front of our house. Jason had knocked all the snow off the truck and cleared out the driveway the morning before, so all this is fresh snow. This is looking down our block. As you can see, they haven't plowed at all today yet and it's still coming down. Here's the view looking up or street at the snowy neighborhood. Owen & Paige- so cute! 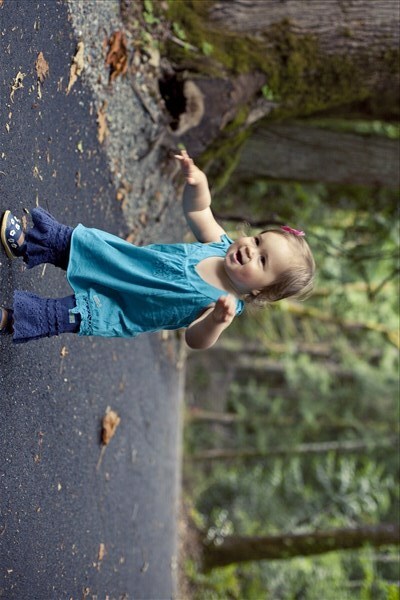 Crazy Charli! These pictures are hilarious! I have two sons, ages 3 1/2 and 1 1/2. Both of these boys were breastfed for an extended period of time, 14 months for my first son and 9 months for my second son. Once the boys were eating solid foods, I fed them fresh, organic, homemade baby food. I wanted to be sure they were getting the freshest foods and more than anything, I wanted to create the most healthy eating habits possible. It did not work. Neither of my boys choose healthy foods, ever. Both are very picky, have small appetites, and most nights, refuse to eat any dinner at all. My oldest asks for hot dogs and macaroni & cheese almost every night. My youngest would sustain himself solely on Ritz crackers if I let him. As a parent, I have found myself very frustrated with this food situation with my kids. I don't want to create a battle with them every time we sit down to eat but I want them to eat something, anything! It would be so easy to cave, let them have frozen waffles and peanut-butter-and jelly for every meal, yet I just can't let myself give in to them and feed them the junk food they crave. 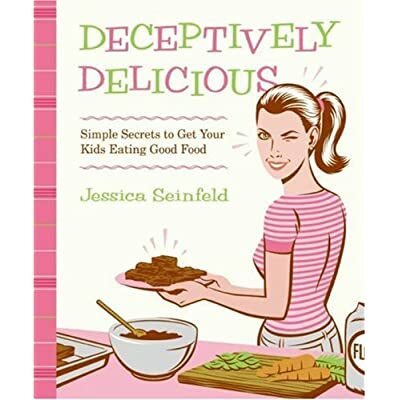 The day Jessica Seinfeld appeared on "Oprah" promoting her new cookbook, "Deceptively Delicious: Simple Secrets to Get Your Kids Eating Good Food," I thought my food-woes may finally be over. I sat, for an hour, glued to the T.V. listening to all these amazing & creative ways to incorporate healthy vegetables, fruits, and other foods into recipes my kids would love. I wrote down all the details and ordered her cookbook (Amazon.com, $11.39), and just a few days later, I was cooking! The book is hardback and spiral-bound, which makes it very user-friendly for cooking. There is a foreword by Dr. Roxanna Mehran and Dr. Mehmet Oz, followed by several chapters explaining how these recipes work. Chapters are titled: Changing Habits Through Loving Deception, Meet the Kitchen Cabinet, The Program, and What Every Parent Should Know About Nutrition. The Recipes are divided into three categories: Breakfast Recipes, Mealtime Recipes, and Dessert Recipes, followed by an appendix, index and acknowledgments. I read through the chapters that precede the recipes with a pen and paper in hand. I found the chapter titled, The Program the most helpful. It provides ideas on the types of equipment and ingredients that are useful to have on-hand when getting ready to prepare the healthy recipes in this book as well as storage ideas for the purees used in most of the recipes. I already had experience in making purees from making my own baby food for my boys when they were little, so this part was easy. I had never thought to use these healthy blends in more grown-up recipes! Now that I'd read the chapters on nutrition, had my kitchen ready, and prepared several of the purees used as bases in many of the recipes, I was ready to cook! The first recipe I tried, Peanut Butter and Banana Muffins (pg. 58), was from the breakfast section of the book. I chose this one because it sounded like it would have yummy flavors my boys would like, and I wanted to test the main premise of the book- the hiding of vegetables in foods you would not think they belonged in. The "secret ingredients" hidden in this recipe are, of course, banana puree, but also hidden are... carrot and cauliflower purees! As I steamed & pureed the cauliflower, I was very skeptical that the taste of this vegetable would be hidden in the peanut-buttery muffins. Other healthy ingredients in these muffins include whole wheat flour, egg-white, and I modified the recipe a bit by throwing in a handful of golden roasted flax seeds. Just before baking, the recipe suggests adding half the brown sugar to the batter at the very end, then just mixing lightly. This creates a yummy, crunchy texture on the top & outside edges of the muffins. After baking, we tried a muffin while they were still warm. Both of my sons gobbled theirs up! I was shocked to see them happily eating something so packed with vitamins and healthy ingredients! I really enjoyed the taste of these muffins and gave several of my adult friends tastes to see their reactions. We all agreed that you could not taste the cauliflower at all. My husband was not a big fan, however, because he doesn't like the taste to whole-wheat flour. Since the Peanut Butter and Banana Muffins had been such a hit, I thought the next recipe I'd try should stick with the same theme. I had extra time and was feeling brave, so I actually tried two recipes from the book's breakfast section next. My kids have never been big fans of eggs, but I thought it would be fun to try the recipe for Scrambled Eggs (pg. 53) from this book. I had leftover cauliflower puree, so this was a quick & easy recipe to whip up. I was skeptical about these eggs because after adding the sour cream, parmesan cheese and cauliflower puree to the eggs and whipping, it is a very strange texture and I wasn't sure how they would cook up. When I poured the mixture into the pan, however, the concoction quickly fluffed up just like regular scrambled eggs. I was disappointed when my kids didn't touch these, but like I said, they've never been big fans of eggs. My husband and I both really enjoyed them, and agreed that once again, we could not detect the flavor of the cauliflower at all! The eggs were creamy and full of flavor. I was most impressed by the health-blurb at the bottom of the recipe that claims a serving of these eggs provides kids with half of the daily value for vitamin C and have more than 19 grams of protein per serving! I sure wish my kids liked eggs!! Along with the scrambled eggs, I decided to try another muffin recipe since the Peanut Butter Muffins had since been eaten all up. The Applesauce Muffins (pg. 50) sounded like a tasty recipe my kids would enjoy. This recipe calls for butternut squash or carrot puree as well as applesauce. I had leftover carrot puree from the other muffins, so I used that. Half way through making this recipe I realized that I did not have any applesauce on hand, so I just cut up a fresh apple, steamed it & pureed it instead, hoping things would turn out ok with this substitution. These muffins turned out to be even more popular than the first ones had been! My whole family loved the crunchy streusel topping and I really enjoyed how moist and cake-like the muffins were. These were a favorite I am sure we'll make again! One recipe that had been featured on the Oprah show I'd seen were the Brownies (pg. 156)Jessica's husband, Jerry Seinfeld, had said he wanted as part of his last meal. Being a major chocolate fan myself, I had to try these! I was also intrigued to see how brownies with carrots and spinach would taste and if my kids would eat them. The recipe only makes a small batch (8 x 8-inch baking pan), so I decided to double it and take some to a friend's house where I was meeting a group for dinner that night. These brownies took some time to prepare. I hadn't made the purees ahead of time, so in addition to making the batter, I had to prepare the purees. The recipe includes unsweetened cocoa powder, bittersweet chocolate, and only 1 cup of brown sugar. I was a little afraid they wouldn't be sweet enough, so I decided to modify the recipe a bit by throwing a bag of mini-chocolate chips into the batter. The blurb at the bottom of this recipe states that these brownies are only 133 calories per serving, have 3 grams of fiber each, and are packed with antioxidants from the spinach and carrots, unheard of for a brownie! Another important note in the recipe recommends that you do not eat the brownies until they have completely cooled because that is when the spinach flavor totally disappears. After cooling, I sliced the brownies and lightly dusted them with powdered sugar for a little added presentation. With a nervous grin on my face, I served a platter of these brownies to my friends and our kids. I was shocked when all of the kids gobbled their brownies up right away and were asking for more before the adults had a chance to finish theirs! I didn't tell the adults what the secret ingredients in these brownies were until after they'd had a few bites and they all about fell out of their chairs when I told them! These rich brownies do not have any spinach or carrot taste at all. The texture is not what you'd expect of a brownie, they are very moist and a little cake-like. All of the adults agreed the texture was a bit strange, but the taste was good and the kids loved them and had no clue they were eating spinach with every bite of chocolaty-brownie! So far, this has been my favorite recipe because I feel it is the healthiest version of an unhealthy treat I could imagine. My oldest son can not get enough of these. Like Jerry Seinfeld, he may request them as part of his last meal someday! Tonight James asked for noodles for dinner, but I had no prepared sauce or ingredients for sauce from scratch. I remembered a recipe in Seinfeld's cookbook Buttered Noodles (pg. 108) that had seemed easy, so I thought it was worth a shot. This recipe was super easy. While the noodles were boiling, I threw the sauce together, which contained only 4 ingredients and most are common household ingredients. The hidden healthy punch in this recipe comes from the base for the sauce- yellow squash puree. Once all mixed together, this quick dinner looks a lot like plain buttered noodles, and when dusted with a little Parmesan cheese, is full of flavor my kids love! I even ate a bowl myself, and while this dish is a little too "kid-food" to serve as a dinner main-course, I did think it was pretty tasty. The squash give a rich flavor while not being too overwhelming. This is a recipe I will keep on hand for those nights I need to prepare something quick for the boys and don't have any ideas. The prep time on these recipes is a bit more than normal recipes might be if you add in the time it takes to prepare the purees. I've found it is easiest and much faster if you prepare the purees ahead of time and store them in 1/4 cup servings in the freezer so they are ready to use. One thing Seinfeld stresses is that these recipes should not be used as a way to replace fresh vegetables as part of kids' dinners, but rather as a supplemental way to ensure kids are eating nutrient rich foods. Serving vegetables and fruits as snacks or side dishes is highly suggested as a way to create good habits for a lifetime of healthy eating. Overall, I have really enjoyed using this recipe book. I have gotten a lot of satisfaction out of watching my kids enjoy foods that I know are packed with vitamins and nutrients. The fact that they have no idea what they are really consuming actually makes preparing and serving these recipes all that much more fun! I highly recommend this book for any parent who fears their kids aren't eating enough healthy foods or just wants some creative ideas on how to get a few more veggies into their kids' tummies. In the short time I've had this book, it has become the most used recipe book I own, and I'm sure I'll be pulling it off my shelf frequently for a long, long time. I TOLD you anything should be expected! So, here I am today with school canceled again! Crazy! I thought we'd be walking to a performance & Taco Bell today with all my students. Instead I got to get a haircut (soooo needed one) and took James to the library to check out some new books and play with their blocks for a while. It was sunny most of the day & while to roads were awful this morning, things are pretty clear now. See, you just never know what they day is going to turn out to be like when you roll out of bed in the morning! There's supposed to be another huge storm rolling in tomorrow, so we'll see what excitement that will bring us! Another thing I had time to do today since I was not at school was to bake a batch of brownies from the new cookbook by Jessica Seinfield (yes, Jerry's wife) called "Deceitfully Delicious." It is full of all these healthy recipes for kids with secret veggies hidden in them. These brownies are very chocolaty, made with bittersweet chocolate, baking cocoa and I added mini chocolate chips to the recipe. The *secret* is they also have SPINACH and CARROTS in them! It is crazy- these brownies have 3 grams of fiber each, are packed with antioxodants and they are almost one serving of veggies for kids! James ate 2 today, he LOVES them! This is a kid who doesn't eat much, so I am very happy he likes them. My opinion is they are pretty tasty if you like a dark-chocolate flavor, but the texture is a little strange. Very mosit & cake-like but also a tiny bit rubbery or something. Not quite like regular brownies somehow. They are pretty good, but not what you'd expect from a regular brownie. Oh well, the point is James & Owen like them (my target audience) and I'll get spinach into them any way I can! Email me if you want the recipe or maybe I'll post it tomorrow, we'll see if I have time.